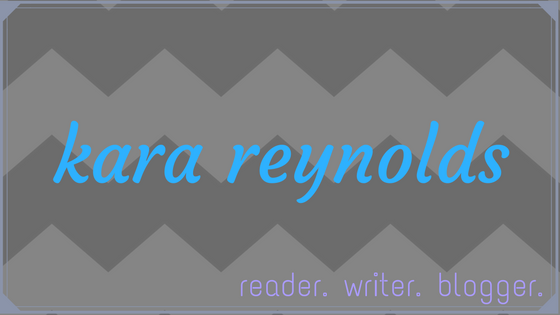 Kara Reynolds Writes: Kara's Kombatants: Announcing My Query Kombat Team! Kara's Kombatants: Announcing My Query Kombat Team! So many genres. So many possibilities. So much excellence. Guys, narrowing down so many entries to only 21 was so hard. I've helped Laura with her team for two years, and I still wasn't prepared for how hard it was to choose. For every spot on the team I agonized over multiple entries, trying to decide which was the best. Or which would add balance to my team. Or which might appeal to the specific agents of the contest. It is a responsibility I did not take lightly. There were many (SO. MANY.) entries that had a cool premise, or an on-point query letter, or a moving first page that didn't end up on my team. Some had all three, and still didn't make it. Unlike an agent choosing whom to represent, I had a limit on how many entries I could take. So if you weren't chosen, please don't take it personally (it wasn't personal) or despair that you'll never be published. If you weren't chosen, I hope you'll keep querying. You have over 350 potential critique partners that also weren't chosen for the contest. I hope you'll make connections through our Query Kombat forum or on Twitter. If I could name one thing that upped my writing game when I was starting out, it would be finding good critique partners. I said it on Twitter, and I'll say it again: I got my agent through cold querying. It works. Contests are super fun because of the spotlight and the camaraderie, but they are not the only way to get an agent. Thanks to everyone who entered and everyone who made the Twitter party so fun! To those who didn't make it into the tournament, you donned your armor and dared to dreamed of victory. You boldly walked into an arena filled with 400+ gladiators, and you didn't so much as flinch or break a sweat. There are none braver than those who try, fail, and try again. I'm begging you to be brave, because all you need is talent and drive. Luck and success will follow. Don't give up. Don't doubt yourself. You will succeed. All you have to do is believe in yourself. Now, to those who made it--CONGRATULATIONS! Out of 400+ entries, you made it into the top 64. You bit, you clawed, you bled, and you MADE IT! Celebrate! And in the midst of your celebration, I want you to help me lift the spirits of those who didn't make it. We're more than a community; we're a family. So spread the love. The matchups of who you will face will be coming shortly. Watch the blogs. Kombatants, don't miss the rules on judging and commenting included at the bottom of this post (It's long. Sorry!). To see Mike's and Michelle's picks, check out their blogs. Welcome to the team! I'll be sending you an email later this weekend to say hello and offer some suggestions for surviving the kontest. The first round will start on Friday, June 1st, on all three blogs. We will try to post all the match-ups by 8:00 am EST, but please don’t rush to comment for reasons we will spell out under the judging section. There will be 64 Kombatants, paired into 32 posts for the first round. Yes, we will try to match age categories and genres together. This will totally depend on numbers. As you can imagine, we received a much smaller number of MG entries and a much greater number of YA entries. We’ll do the best we can to make the match-ups fair, but we are not limiting our Kombatant picks by requiring so many numbers of each age group. We are picking what we think are the best entries. If a Kombatant drops out after the contest has started, their opponent automatically advances to the next round. Any Kombatant who receives an offer of representation will please notify us so we may withdraw them. Receiving a full request or partial is not grounds for withdrawal. Judges: The most important part of your comment is the vote. To keep things clear, please write it as "VICTORY to (Kombatant nickname)." You may give more information as to why you voted that way. How much feedback you give is completely up to you. There are a lot of entries to read and a lot of rounds to go through. This is a long contest. But we’re sure the judges will do a fantastic job of sharing their thoughts. To prevent favoritism, the judges have agreed not to vote on match-ups where they are close friends with a Kombatant or where they have beta read or critique partnered. Due to the length of this contest, judges have been assigned to rounds and may decide not to vote in all the rounds. In the event of a matchup vote tie, we'll call for more judges, then the round host will cast the tie-breaker vote if necessary. Now here comes the unique and important part! We would like the judges’ votes to be easily located. Therefore, we are asking the judges to place their votes as a reply to the first comment in each match-up post. As soon as all the match-up posts are live, the round host will go through and made a first comment. Something like: "This comment is reserved for judges’ votes. Please do not reply to this comment unless you are a judge." Then the judges can do their thing and leave their votes as replies to that comment. BUT in order for this to work, people cannot rush to comment. The hosts have to have time to get the first comment up on all 10 or 11 posts of the first round and subsequent rounds. No matter how excited you are to share your feedback, please give the host time to get the first comment done before you comment. Any other first comments but the hosts’ will be deleted. We understand that everyone is human and votes may not end up in the proper spot. All judges’ votes will count no matter where they end up. You may be asked to recast your vote in the proper spot, just to keep things easy to find. Comment moderation is on. Your comment will not appear until approved by the blog host. Due to the nature of the head-to-head competition, commenting is a delicate subject. We don’t want feelings hurt. We don’t want people to go away angry. 32 people will be knocked out in the first round. That is brutal. And like any contest of this nature, the results will be subjective. Wonderful entries will be eliminated. Because not everyone will be seen by an agent, we do want to allow commenting, as that may be the only feedback a query and first 250 entry will get. Try to give equal time to both Kombatants in a match-up. Don’t let someone be left out. If you see a match-up that isn’t getting many comments, we ask that you jump in and do your stuff. We don’t want this contest to only be about fun and agents. We want all the entries to get helpful advice to make their queries and pages stronger. Please remember this and be kind and thoughtful. Writers are amazing people. They go out of their way to help. We are sure we can count on you. We would like each Kombatant to give feedback on at least 6 match-ups.You’re on your honor system here; we won’t be monitoring this. We’ve got enough to do! We’d also like each person who entered Query Kombat to leave at least one comment on a match-up, but feel free to do many more! Kombatants who are eliminated are welcome to come back and leave comments on the next round. We still want to hear what you think. We need you to make this contest a success! Kombatants, please don’t comment on your own entry, whether that is to thank people or to explain/rationalize your entry. There will be so many comments that we ask you to wait until the last day of voting to offer thanks or congratulate someone, or leave any other type of comment on your own entry. If you want to thank people before the last day of voting, Twitter is the place. We are counting on there being no hard feeling comments. If there are, they will be deleted. We warned you’ll need a thick skin, and it’s true. But we believe this can be done in a friendly manner. Getting knocked out of the contest or not getting picked is no indication of a story’s quality. After all, we only have snapshots to go upon. All the hosts are very excited for Query Kombat to start, and we hope you are, too. Feel free to leave us questions in the comments or just shout out your excitement. Follow us on Twitter for more updates. Thanks for being a host!